With KRAVolution Krav Maga, everyone is able to defend themselves and others effectively. Regardless of age or gender, the reflex-based system provides defense techniques. In a real threat situation, there are no rules, it’s all about pure survival. The good thing about KRAVolution Krav Maga for women is that neither the strength nor the size is important. At KRAVolution, we train according to principles in combination with easy-to-learn techniques, which are also available under stress and emergency situations. The KRAVolution Kids Division provides a healthy self-assessment of one’s abilities. It is about empowering self-awareness and mediating behavior for conflict management! Even with fun as the focus, children improve their own safety, coordination and physical fitness playfully. 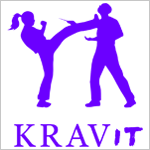 KRAVolution Krav Maga employs experienced Instructors and adapted self-defense training. It is not just about learning effective techniques for self-defense, but also about the feeling for the right tactical behavior, self-assertion in case of emergency, as well as the preservation of proportionality. The contents of the Law Enforcement Training are the mediation of KRAVolution Krav Maga self-defense techniques and tactics, in conjunction with arrest- and transport techniques against one or more, armed or unarmed attackers, either alone or in a team. Soldiers are trained to react properly under physical and psychological stress and to act tactically. The tactical mindset, that is, the psychic strength, is to be developed in the Krav Maga classes for soldiers as well as their technical abilities for self-defense. The principle can be briefly summarized as follows: fight, flight, never freeze! KRAVolution Krav Maga is not just pure self-defense, it is a attitude to life. We are convinced that it takes far more than effective techniques for self-defense. Therefore, we also offer regular shooting training, based on IPSC shooting. KRAVolution Rescue Forces is a special training concept for ambulance staff and firefighters, based on the Law Enforcement Division. The biggest difference is the different legal bases. All techniques are designed to be proportionate. KRAVolution Krav Maga is not only to protect ourselves, but above all also to protect our loved ones or our wards e.g. as a bodyguard. KRAVolution Krav Maga shows how you can effectively protect others and bring them out of the danger zone. The system adapts to human, not human to the system – that is KRAVolution Krav Maga. This modern self-defense system is for everyone. Everyone is able to defend themselves and his loved ones. KRAVolution Krav Maga also offers solutions for effective defenses for wheelchair users, the disabled and visually impaired people.